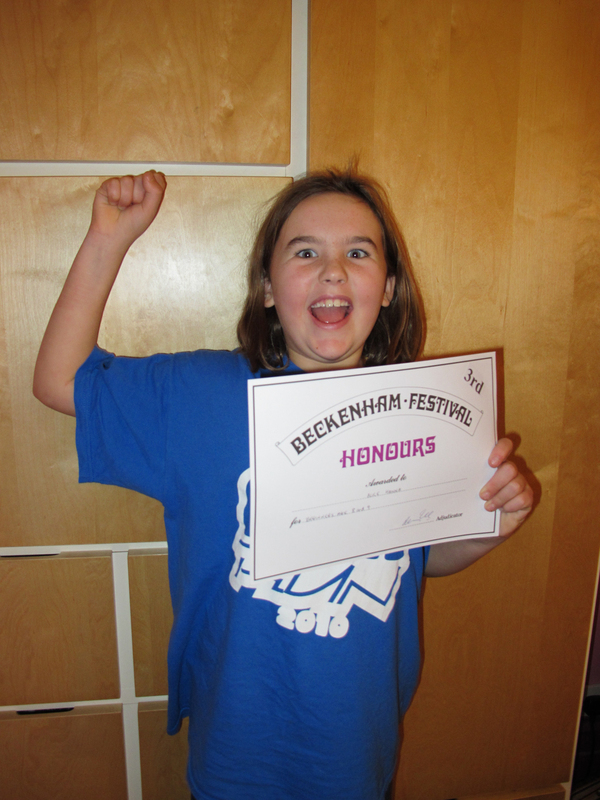 Alice achieved 3rd place at the Beckenham Festival on Sunday 14th of November in the under 8s class. Congratulations, Alice! Merlin also achieved 3rd place in the Under 6s class. We look forward to the Grade 1 classes this weekend where Grace and B will be competing, as well as Joe and Irene competing in the Grade 8 Recital and Sonata classes. This entry was posted in Beckenham Music Festival. Bookmark the permalink.